The language expansion coincides with the company’s European growth plan. HotelPlanner.com, the leading provider of online travel services to the global group market, announced at ITB Berlin that the company’s website now supports 20 major languages covering 70 countries. Customers from all over the world can now visit HotelPlanner.com to plan their special group event in the language of their choice and benefit from the company’s partnership with over 50,000 hotels worldwide. The new languages just added to the site include Norwegian, Danish, Swedish, Finnish, Polish, Turkish, Croatian, and Czech. These 8 new languages join the languages previously offered on HotelPlanner.com including English (US, UK), Spanish (Spain, Mexico, Latin America), French (France, Canada), Italian, German, Dutch, and Portuguese (Portugal, Brazil). The language menu bar can be found in the top right corner of the HotelPlanner.com page and allows users to search by the language, country, or currency that best meets their needs. Today’s announcement builds on HotelPlanner.com’s international expansion plans in the UK, Europe, Scandinavia and Russia. The company opened European Headquarters in London, England in 2012. 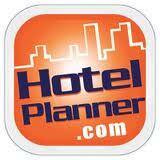 HotelPlanner.com specializes in providing planning, hotel sourcing and contract negotiations with hotels around the world. The company provides group event and meeting planner services for all types of organizations from professional sport teams, colleges, universities, youth sports teams, corporations of all sizes, reunions, weddings, long term stay travel and more. HotelPlanner.com helps clients select the right property at the right price for their event. The company combines technology with a highly experienced staff of professional meeting planners to deliver outstanding service. HotelPlanner.com was founded in 2002 by Tim Hentschel and John Prince, and has since achieved a global portfolio of 50,000 hotels. According to Experian, the company is the number one group travel site processing thousands of group hotel reservations of 5 plus rooms per day and a top 50 travel website.